Green Tea EGCG 120 caps. Take 1 capsule 2 to 3 times daily, preferably with a meal. Dosage should be adjusted to the purpose of supplementation. 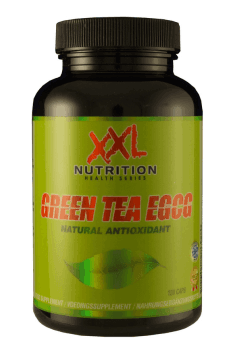 Green tea extracts are chosen most often in order to support adipose tissue reduction. For that purpose, 2-3 capsules a day taken at different times of day should suffice. In order to reinforce the preparation’s activity, supplementation can be combined with, for example, quercetin, curcumin, L-theanine, or inositol.